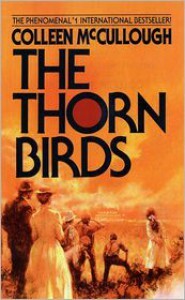 The Thorn Birds by Colleen McCullough has been loved by many and I can see why. It is a well written family saga with thoroughly developed characters. The setting is remarkable in the way of being especially original and it is clear that the author has done her research.I found myself quite vested in the story of Meggie and Ralph, so much in fact, that it evoked a level of emotion.The only downfall was that the book dragged near the end when the story began to focus on Meggie's children. For my taste, I would have preferred that this long novel be broken into two. Note: There is a mini series that was made for television in the 80's for those who may be interested. I am looking forward to watching it myself, now that I have had the pleasure to read the book.